Dean Len Waverman, Dr. Willi Wiesner, Director, MBA Program and the Student Experience team cordially invite you to attend the MBA Awards Reception. 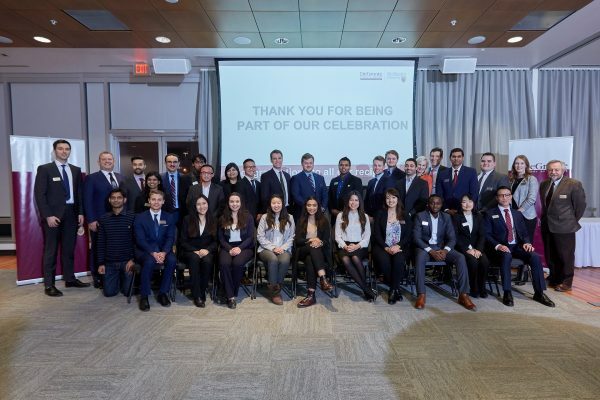 This reception honours MBA students who have received scholarships and awards and/or have shown exemplary leadership for the 2018 / 2019 academic year. We hope that all of our MBA Candidates will join in on this event to celebrate the achievements of their fellow students. Networking and hors d’oeuvres: 5 p.m.